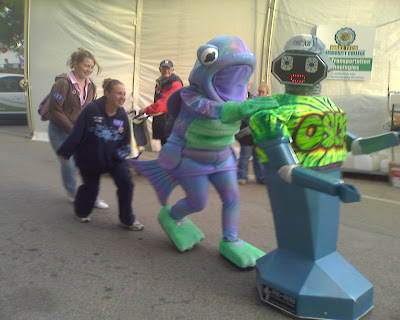 Seen at Green NC: Oscar the Robot leads a conga line. Green NC, Oscar the Robot. Bookmark.